Global hydrogen peroxide exports amounted to 1.5M tonnes in 2016, flattening at the previous year level. The total export volume increased at an average annual rate of +3.0% over the period from 2007 to 2016; however, the trend pattern indicated some noticeable fluctuations throughout the analyzed period. The most prominent rate of growth was recorded in 2011 when exports increased by 9% year-to-year. 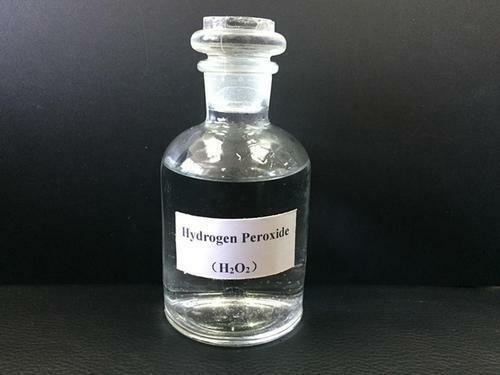 Over the period under review, global hydrogen peroxide exports reached its maximum volume in 2016, and are expected to retain its growth in the near future. In value terms, hydrogen peroxide exports totaled $685M in 2016. The total export value increased at an average annual rate of +2.1% from 2007 to 2016; however, the trend pattern indicated some noticeable fluctuations throughout the analyzed period. Global hydrogen peroxide export peaked of $720M in 2014; however, from 2015 to 2016, it failed to regain its strength. In 2016, the Netherlands (172K tonnes), South Korea (143K tonnes), Belgium (143K tonnes), Thailand (125K tonnes), the U.S. (121K tonnes), Finland (120K tonnes), Germany (103K tonnes), Canada (95K tonnes), Brazil (95K tonnes), France (83K tonnes), Austria (56K tonnes), and Spain (55K tonnes) were the main exporters of hydrogen peroxide in the world, creating 86% of total export. From 2007 to 2016, the most notable growth rate of hydrogen peroxide exports, among the main exporting countries, was attained by Spain (+157.4% per year), while the other global leaders experienced more modest paces of growth. In value terms, Belgium ($82M), South Korea ($61M) and the U.S. ($61M) constituted the countries with the highest levels of exports in 2016, with a combined 30% share of global exports. The Netherlands, Thailand, Brazil, Finland, Germany, Canada, France, Spain, and Austria lagged somewhat behind, together accounting for a further 53%. Spain (+97.2% per year) had the highest rates of growth with regard to the hydrogen peroxide exports, among the main exporting countries, over the last 9 years, while the other global leaders experienced more modest paces of growth. The average hydrogen peroxide export price stood at $447 per tonne in 2016, going down by -1.5% against the previous year. Overall, hydrogen peroxide export price continues to indicate a relatively flat trend pattern. The growth pace was the most rapid in 2008 when export increased by 22% year-to-year. In that year, average hydrogen peroxide export price attained its maximum level of $588 per tonne. From 2009 to 2016, the growth of average hydrogen peroxide export price stood at a somewhat lower level. There were significant differences in the average export prices amongst major exporting countries. In 2016, the country with the highest export prices was Belgium ($573 per tonne), while the Netherlands ($336 per tonne) was among the lowest. From 2007 to 2016, the most notable growth rate of hydrogen peroxide export prices was attained by Brazil (+3.3% per year), while the other global leaders experienced more modest paces of growth.